Starring Latin Grammy® winner Yotuel Romero, The Companion is set in 1988 Cuba as the government dispatched HIV patients to AIDS centers under military rule. It narrates the friendship between Horacio Romero, a Cuban boxing champion that fails a drug test and must serve as a “companion” (a euphemism for warden) of Daniel, a conflictive patient. Protagonizada por el ganador del Latin Grammy® Yotuel Romero, El acompañante se desarrolla en 1988 en Cuba, cuando el gobierno envió a los pacientes con VIH a los centros de SIDA para ser atendidos bajo un régimen militar. Narra la amistad entre Horacio Romero, campeón de boxeo cubano, que no pasa la prueba de la droga y debe servir como un “compañero” (un eufemismo de guardia) de Daniel, un paciente conflictivo. Pavel Giroud was born in Havana. He graduated from Cuba’s High Institute of Design. His first feature The Silly Age (2006) was selected Best Cuban Film of the Year by the Cuban Critics Association. 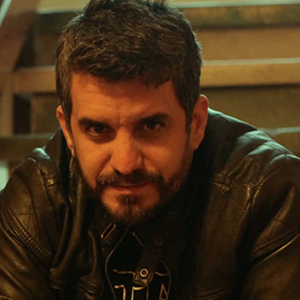 The Companion(2015), his third feature, won the Best Project Award at San Sebastian’s Europe-Latin America Co-Production Forum for its screenplay.